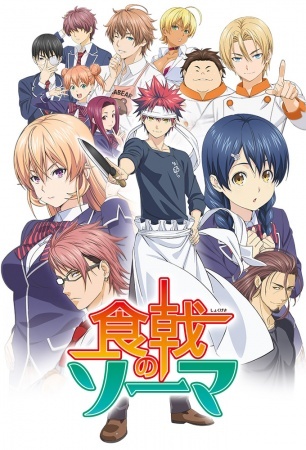 Synopsis: Yukihira Souma's dream is to become a full-time chef in his father's restaurant and surpass his father's culinary skill. But just as Yukihira graduates from middle schools his father, Yukihira Jouichirou, closes down the restaurant to cook in Europe. Although downtrodden, Souma's fighting spirit is rekindled by a challenge from Jouichirou which is to survive in an elite culinary school where only 10% of the students graduate. Can Souma survive?